who made this event such a beautiful success! 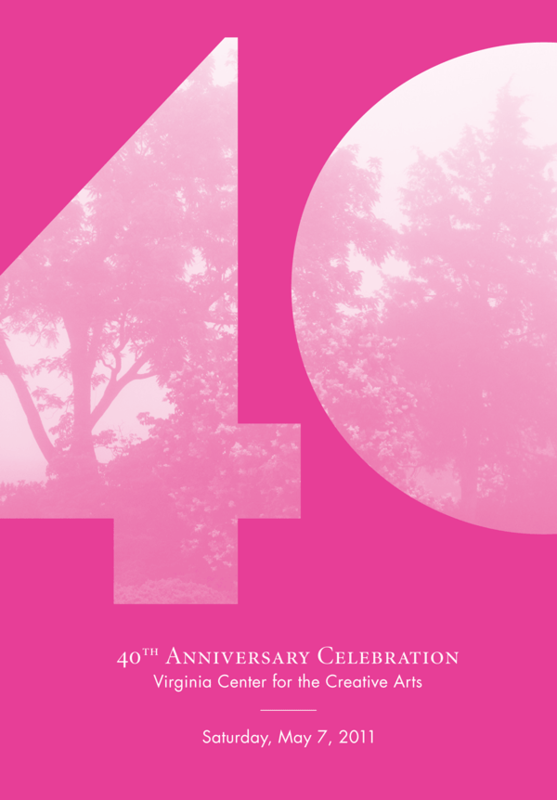 The VCCA Board of Directors would like to express grateful appreciation to our sponsors for their extraordinary support of our 40th Anniversary Celebration. *Wine selections are sponsored by Altria Group on behalf of Ste. Michelle Wine Estates, and Altria company. Transportation to Casa Maria will be provided beginning at 5 pm. 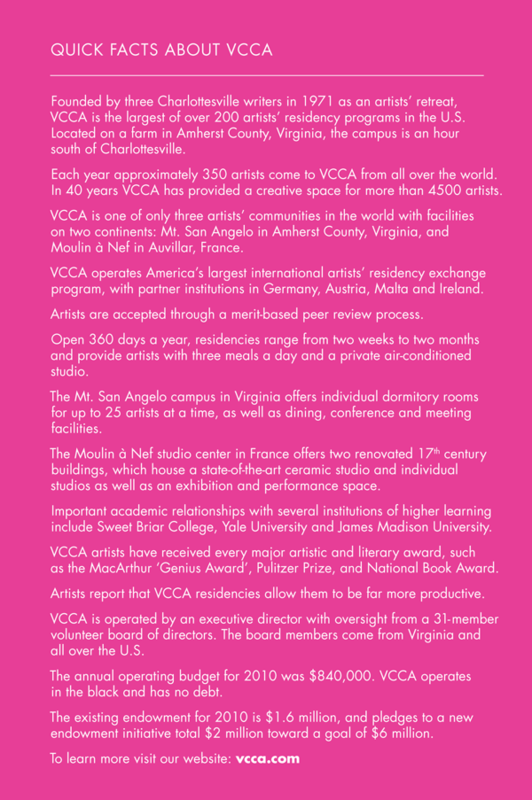 The VCCA Advisory Council is comprised of internationally known visual artists, composers and writers. of this century’s most exceptional writers, composers and visual artists. that fill concert halls, galleries, libraries and theaters around the world. of nourishing the creativity that enriches our civilization. a rest stop, a rodeo. The fruits of these efforts belong to all of us."